Proposed Action: To create a new ordinance that bans the sale or distribution of any sunscreen product that contains oxybenzone and/or octinoxate. Background: At the request of Commissioner Weekley, the undersigned drafted this proposed new ordinance that bans the sale or distribution of sunscreen products that contains oxybenzone and/or octinoxate, which have been shown to have adverse consequences to coral reefs, and sea life. The proposed ordinance does not go into effect until 1 year from the effective date of the ordinance, giving some time for retailers, distributors, and other interested parties like charter companies to educate their retail outlets and consumers. If passed, after the 1-year education period, there shall be a 1-time written warning for violators. Second and subsequent violators can be issued a civil citation in county court. Such citations are payable within 10 days with a $100.00 fine. If not paid within 10 days, the county clerk’s office refers the matter to the relevant county judge for further hearings. However, no penalty for a violation of this ordinance is contemplated to be criminal in its current proposed form. The undersigned anticipates that Craig Downs, from The Haereticus Environmental Laboratory in Clifford, VA will be in attendance at the December 4, 2018 meeting to give a presentation to the City Commission regarding his extensive research on the topic. Mr. Downs’ research was relied upon by the State of Hawaii in their recent enactment of legislation that this ordinance is based upon. 1. To defeat this proposed ordinance. There will be no prohibition on the sale or distribution of any sunscreen product that contains oxybenzone and/or octinoxate, which are chemicals that have been shown to have an adverse effect on coral reefs. Recommendation: To pass the proposed ordinance. Are you interested in monitoring the regulatory status of oxybenzone and/or octinoxate ? 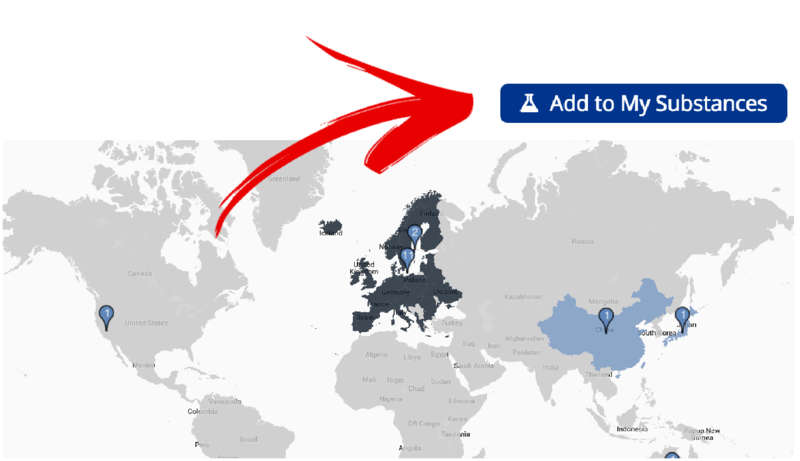 Click on them to access their world regulatory maps and to add them to your monitoring list.